Creating Yourdon and Coad with free templates and examples. Yourdon and Coad has never been easier. 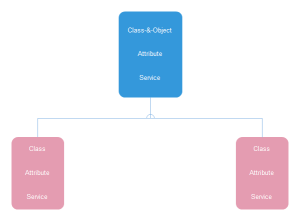 Yourdon & Coad's Object-Oriented Analysis and Design (OOA/OOD) is an object-oriented method that precedes UML. Yourdon & Coad represents visual representations with processes, data stores, data flow, and external entities. 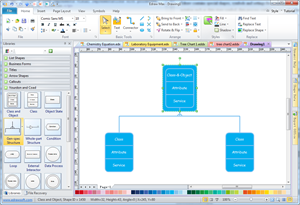 Edraw contains special shapes, symbols and settings for creating dataflow diagrams by the Yourdon and Coad notation such as data store symbol, data process symbol, loop symbol for PRO diagramming and vector drawing software. Edraw is a very easy-to-use and intuitive database design tool that allows you to build a Yourdon and Coad diagram easily. The pre-defined template and rich pre-made shapes greatly simplify the drawing process. You can just drag and drop a shape to your drawing page, and use smart connectors to illustrate the relations. All the shapes are vector-based, you can revise and format your drawing easily according to what you need. Don't hesitate to try this truly user-friendly software. 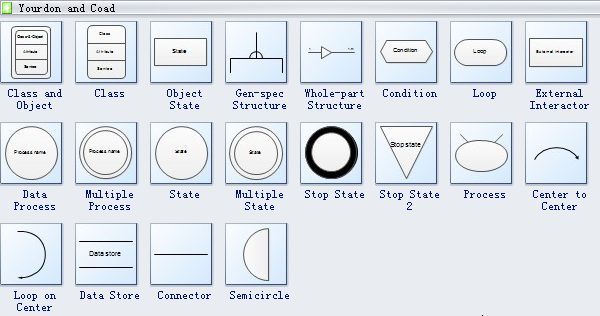 Edraw software offers you lots of special shapes and Yourdon and Coad diagrams, class and object, class, object state, gen-spec structure, whole-part structure, condition, loop, external interactor, data process, multiple process, state, multiple state, stop state, process, center to center, loop on center, stop state, etc. A yourdon and coad template is readily available to assist you in drawing.